"“This project transformed me into a full project manager. I became more pro-active, more creative and flexible.”"
Kaat De Sutter was tasked with strategic analysis and commercial implementation in the Asia Pacific region for The Cookware Company, an SME selling innovative cookware. Working in the Asia-Pacific office in Hong Kong, Kaat developed a full analysis of the markets and competitors, in order to implement the Cookware Company brand in Australia/New-Zealand, Singapore, Malaysia and Vietnam. She did the groundwork for building a cooperation with the new target clients. An important part of her job consisted of ensuring that new retailers would accept to list the brand in the targeted markets. Kaat also had to launch a major marketing campaign to sustain the brand image and accentuate its environmental-friendly benefits. The Cookware Company is a global cookware manufacturer with a global brand presence. 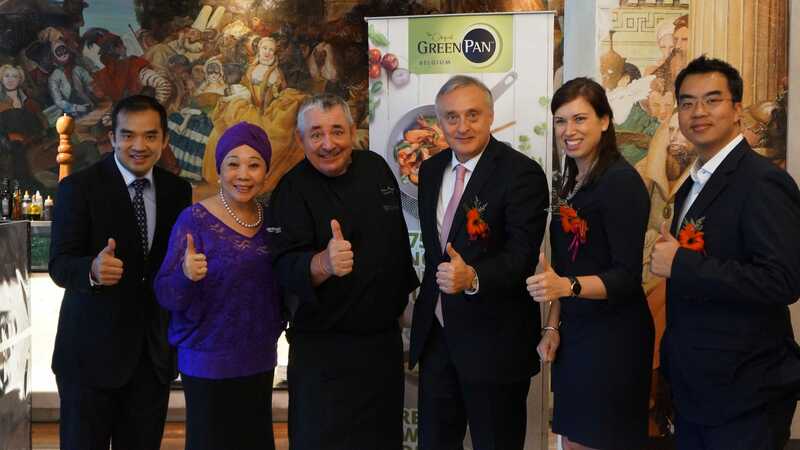 The company launched its original brand, GreenPan, in Belgium in 2007, making it the first manufacturer to introduce PTFE-free non-stick cookware onto the market. Nowadays the brand can be found in over 90 countries worldwide. The Cookware Company continues to be known as the house of innovation!